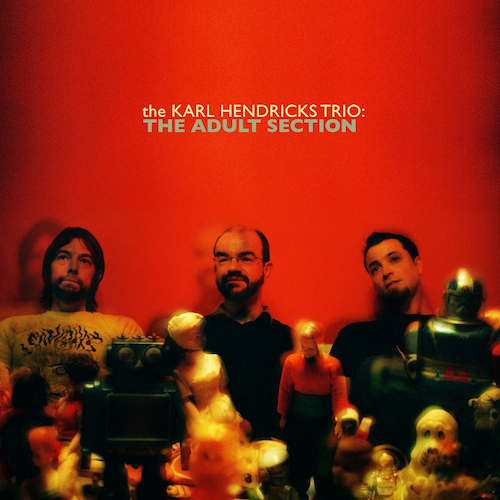 Readers of this blog may be familiar with Karl Hendricks from a post I wrote about his music relating to the emotional pull to hoard (among other things) as well as having his most recent album The Adult Section firmly atop my list of favorite records from 2012. In addition to owning Sound Cat Records in Pittsburgh, Karl is one of the more thoughtful writers and vocalists I know. This makes his diagnosis of oral cancer earlier this year particularly cruel. Jon Solomon has set up a fundraising page to help meet Karl’s medical expenses. You can donate here, and please see Jon’s message below to see some amazing fundraising events later this summer with music and readings from many of Karl’s friends (including my fellow onetime WRCT old, weird Americana DJ Jason Baldinger and some of the best musicians in the world). For over 20 years Pittsburgh’s Karl Hendricks has been not only a good friend, but one of my favorite musicians. I’m not alone in either of these regards. Karl has personally served as an inspiration to me as a dad, a writer and a small business owner as Karl’s the individual who keeps the excellent Sound Cat Records running smoothly. He’s a quiet guy, not one to draw attention to himself and certainly not a person who is comfortable asking for help in this fashion. His friends however aren’t as reserved. That’s why I am writing these words today. In short: Karl Hendricks has oral cancer. He is working to get better, but it is going to be a long road to recovery. If you would like to make a financial contribution to Team Hendricks, you can do so using this site. This fundraiser is being done with his consent. With Karl unable to work this summer as he mends, times are tight in his household and if you’ve ever appreciated what Karl has done to better your own life, please consider passing some money his way. There will be at least three benefit shows for Karl and his family you are encouraged to attend and spread the word about. A series of rare items will also be auctioned off to benefit Karl around this time. $10/door – if you wish to donate more you will be able to. Karl’s short story chapbook “Stan Getz Isn’t Coming Back” will be repressed in an edition of 100 copies for this reading. Again, the link to make a contribution is here. Karl should have the last word on this post, so here he is performing solo at the Pittsburgh Children’s Museum from 2011. This entry was posted in events on July 7, 2014 by Carl Zimring.